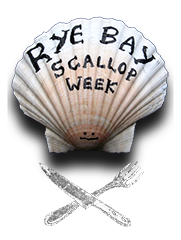 Why not get stuck in and try your hand at cooking your own Rye Bay Scallop dishes? Have a look at these recipes. Rye Bay Scallops (and their shells) can be purchased from the following local outlets.